Nobody’s really sure how to define “big data,” but everyone agrees that it’s a big deal. The belief that the more data you have the more insights and answers will rise automatically from the pool of ones and zeroes. the data flows so fast that the total accumulation of the past two years—a zettabyte—dwarfs the prior record of human civilization. Analysis of massive collections of data has been used to spot business trends, combat crime, and help prevent outbreaks of epidemics. More prosaically, and more familiarly in everyday life, “recommendation engines” based on big data help companies like Amazon and Netflix recommend what you’d like to buy or watch next. Target (infamously) employed an algorithm that crunched big data and predicted when women were pregnant based on, for example, their purchases of unscented lotions. The company then used that information to offer the women maternity-related coupons. Unfortunately, it often takes a large-scale hack, security breach, or loss of trust before the populace starts to critically think about data and how we use it. Any successful person knows you need to be preemptive to be efficient, and reacting only after a major incident is a recipe for disaster. IT security challenges are getting in the way of executing the vision of dynamic, usable, instantly accessible data frameworks, with three-quarters (73%) of organizations reporting that their business initiatives have been thwarted by data security gaps. 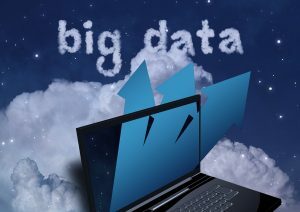 According to a survey from Dataguise, companies are putting big data projects on hold until they can figure out how to deal with data security concerns. The bigger a collection of data, the more tempting it is to thieves – and the more damage that can be done if security is breached. As long as data breaches are in the news almost every week, it’s obvious that the present “industry standards” for data protection aren’t nearly good enough. What’s needed is dynamic encryption – like PACid’s Bolt-on Strong Security™ (BOSS) solution.